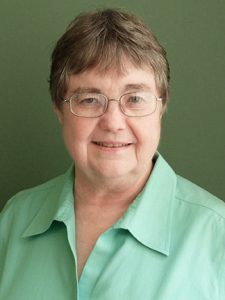 SINSINAWA, Wis.—Sinsinawa Dominican Sister Toni Harris, OP, will present “Our Global Sisterhood: Dominican Women Living Dominic’s Dream” 9 a.m.-10:30 a.m. Tuesday, February 16, at Sinsinawa Mound. All are welcome and those not able to attend are invited to watch via livestream at www.sinsinawa.org/live., where the presentation will also be archived. Dominicans are observing a Jubilee, November 7, 2015, through February 21, 2017, to celebrate the 800th anniversary of the Order of Preachers established by St. Dominic in the 13th century. Dominican women who are members of apostolic congregations number about 24,300 and they may be found in the continental areas of Africa, the Asia-Pacific, Europe, Latin America and the Caribbean and North America. Sisters from 150 different Dominican congregations are living and serving in 110 countries of the world. With roots in the 13th century dream of St. Dominic, Dominican Sisters continue the mission to preach Good News to the ends of the earth. This presentation will include these areas: the early women of the Order Of Preachers; a “fresh revisiting” of Dominican identity; Acts of the 2013 General Chapter of Croatia Regarding the Dominican Jubilee; a global view of our Dominican sisterhood; and what Dominican sisters offer to the world as the journey continues. Contact Sister Mary Ellen O’Grady, OP, at 630-750-4397 or via email at ogop517@gmail.com for further information.